Get your teeth cleaned every 6 months to avoid any gum diseases. Gingivitis Gingivitis is something that you hear, but many people don’t understand. This is a periodontal disease that can threaten the integrity of their entire mouth. The longer gum disease goes unchecked, the harder treatment becomes. William C. Gardner DDS PA can provide you with the treatment you need to keep gum disease from damaging your teeth and jaw. Gum Disease Not all gums are the same. And sometimes gums can become misshapen, infected or severely damaged. To preserve your oral health, gum surgery may be necessary to correct the issue. William C. Gardner DDS PA offers complete dental services, including gum surgery, to ensure the best possible care for our patients. Gingivitis is the most common periodontal disease. It causes gums to become slightly swollen, meaning they may bleed easily. It’s often caused by inadequate hygiene and can be reversed. However, if a patient doesn’t seek out treatment, the gum disease can progress into full periodontitis. Advanced periodontitis, caused by bacterial infections below the gum line, can lead to the body attempting to combat the infection by breaking down the affected tissues. This includes gum, teeth, and bone. Abscesses can lead to the further periodontal disease. If not treated, this gum disease can result in loss of teeth, necrosis, bone loss an even endanger your overall health. Don’t put off seeking treatment. Gum disease can be difficult to catch in early states. Many people attribute reddened, slightly bleeding gums to bruising. 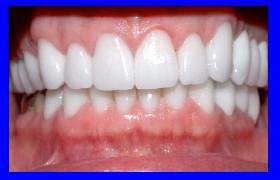 But treatment is much easier if gum disease is detected before it progresses into periodontitis. You will require a periodontist to assess and treat you. 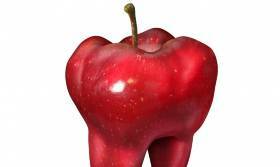 William C. Gardner DDS PA provides most periodontal treatments for gum disease. We also offer general and emergency dentistry. Come in for a cleaning and we’ll be able to tell you if there’s’ a chance to that you’re currently suffering from gingivitis. Do you have an accident and a tooth has been knocked loose? We’ll handle that for you work with you to ensure no lasting damage was done. Get the professional, caring treatment that you deserve and contact us for an appointment today! Why Would I need gum Surgery? Advanced gum disease is painful and can threaten the integrity of your teeth. As gum tissue recedes, it provides more enamel surface for plaque to stick to. It can even separate from the jaw and create pockets where debris and bacteria become trapped. This encourages the formation of abscesses Gingivectomy is the surgical removal for gum tissue, it can either clean away infected tissue or eliminate the gaps that have formed. A gingivoplasty reshapes the gum tissue if too much has formed. An excess of gum tissue can make it difficult to keep your teeth clean. In some severe cases, it can even interfere with eating and speaking. Reshaping the gum tissue allows access to the surface of the teeth and helps create a more pleasing appearance. Complete dental care involves the health of your teeth and gums. If one has been neglected in favor of the other, you’ll still suffer poor oral health. William C/ Gardner DDS PA offers complete dental service, from cosmetic to emergency , and focuses on ensuring total oral health. Gum disease doesn’t’ need to keep you in pain. Our professional, compassionate services will get you eating, talking, and smile comfortably again. Contact us today and schedule your appointment.